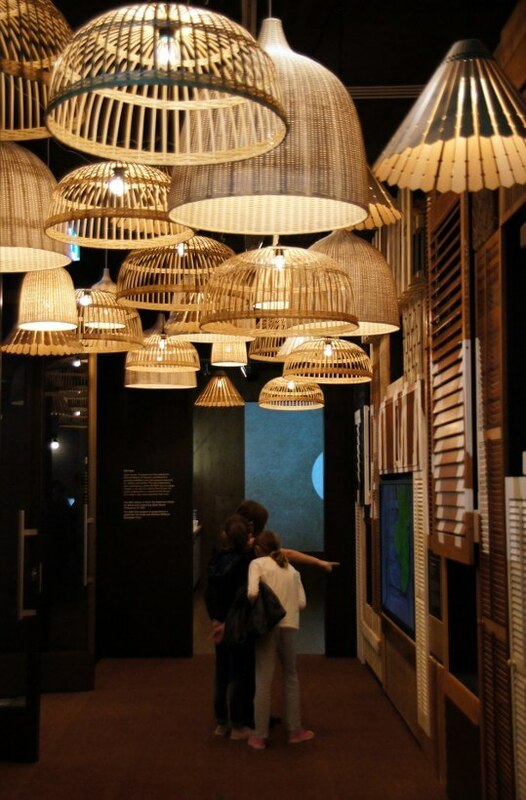 Open House: Tromarama for Kids is NGV International’s newest children’s gallery exhibition which isn’t just child’s play. 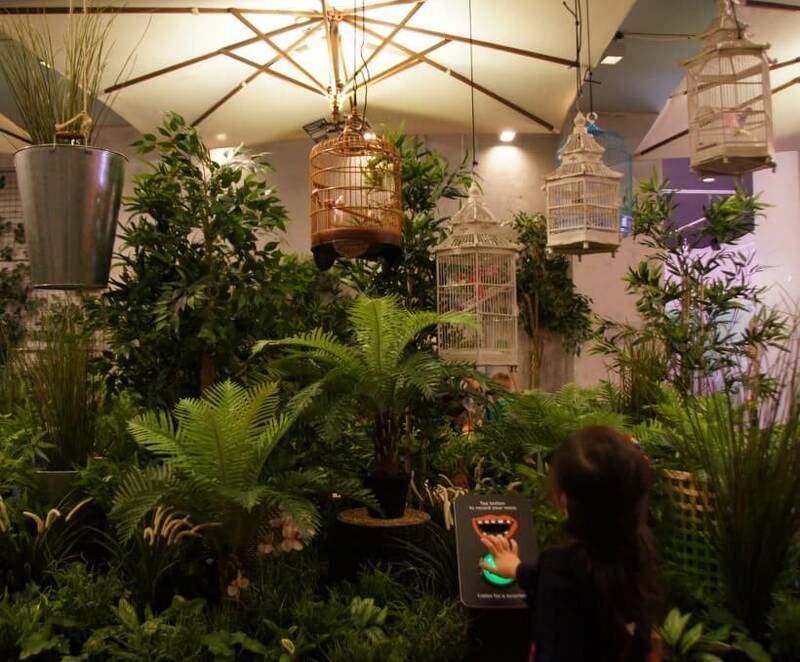 Indonesian contemporary art collective Tromarama (Febie Babyrose, Herbert Hans and Ruddy Hatumena), have truly built a house of fun for young and old alike! 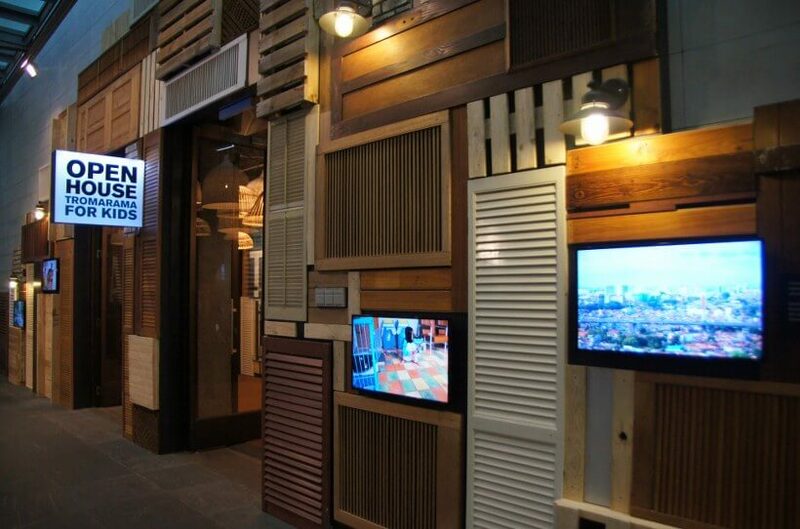 The fantastical space features five fully furnished rooms – a kitchen, dining room, courtyard, bedroom and bathroom. The whole house comes to life and there are lots of unexpected surprises to explore. 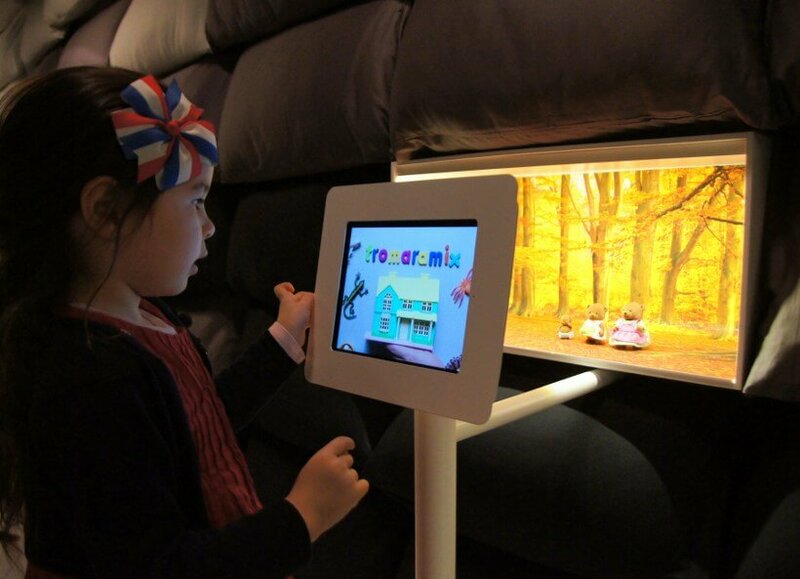 Start off in the bathroom and very comfy pillow-lined bedroom, where you can learn to make simple stop motion animation movies. 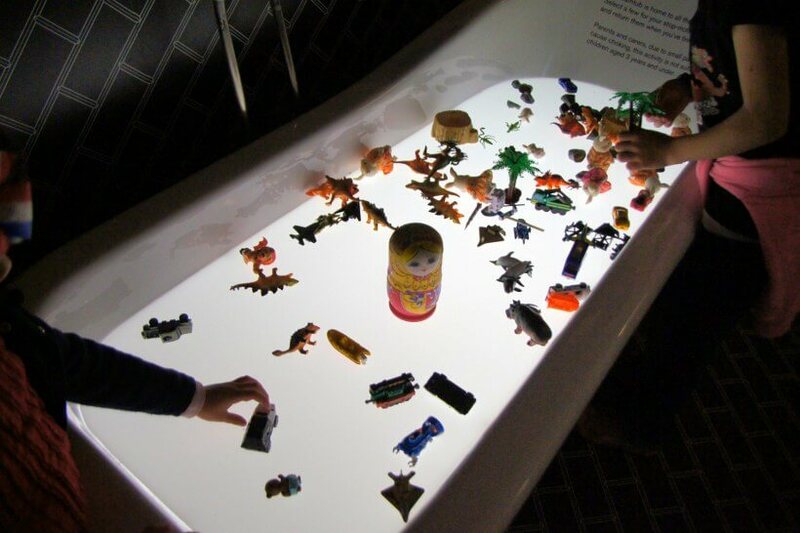 Just take some toys from the bathtub, find a backdrop you like, use the touch screens to take photos and off you go! 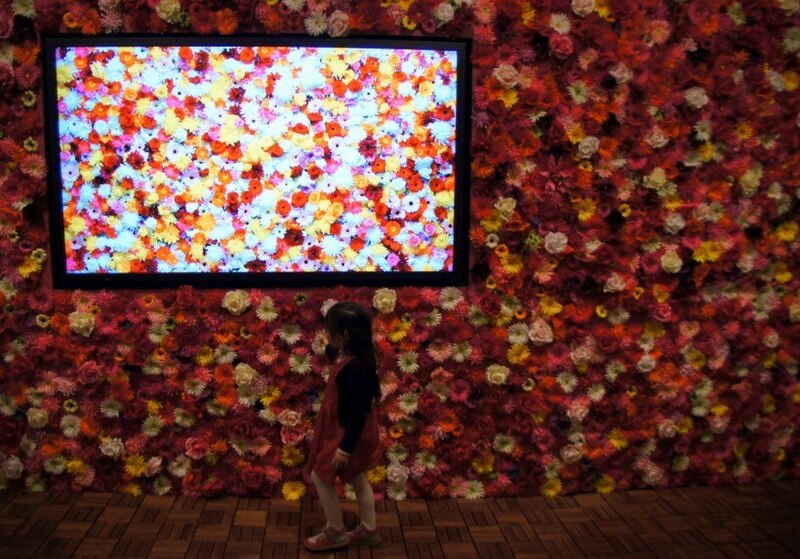 Move into the lush garden with the flower wall which reminded me of the Raf Simons’ extravagant first collection for Christian Dior. Pity the flowers aren’t real! In the garden you’ll find that pink flamingos talk and cheeky garden gnomes chat back with your voice! 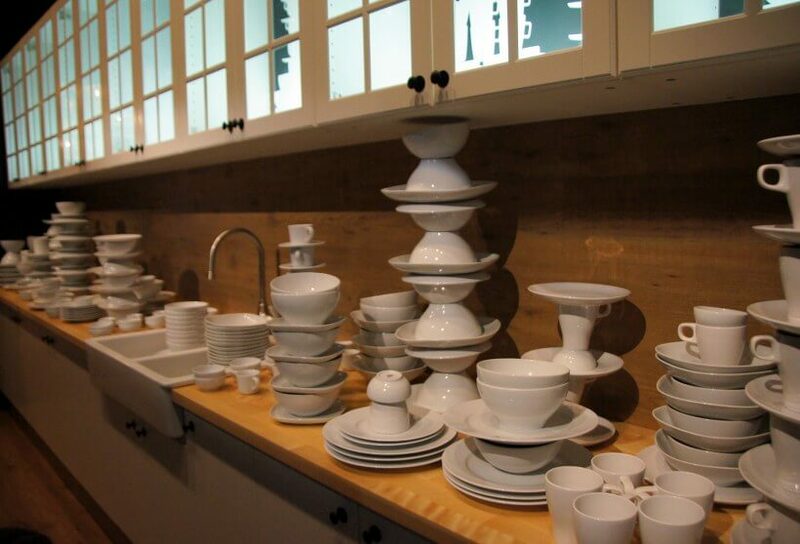 The kitchen is the most restful space, with stacks of ceramic crockery (thankfully stuck together and to the benches) and it shows a delightful animation of dancing plates and cups. 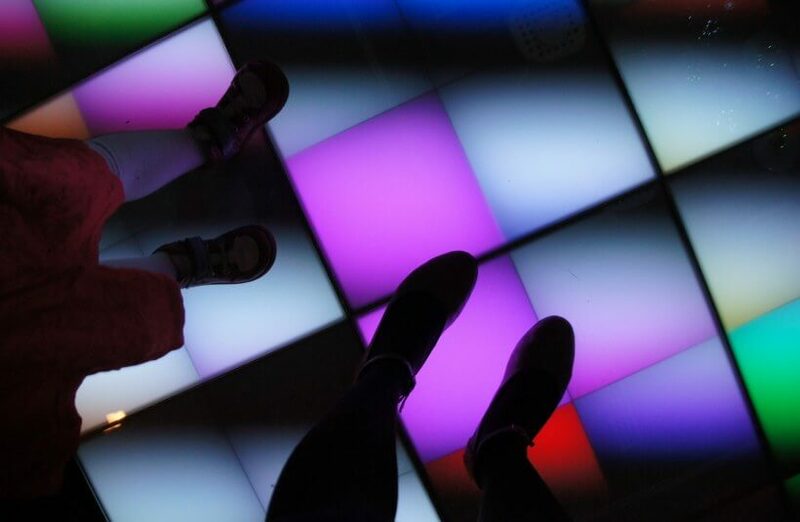 The highlight of the interactive experiences has got to be the disco dance floor. 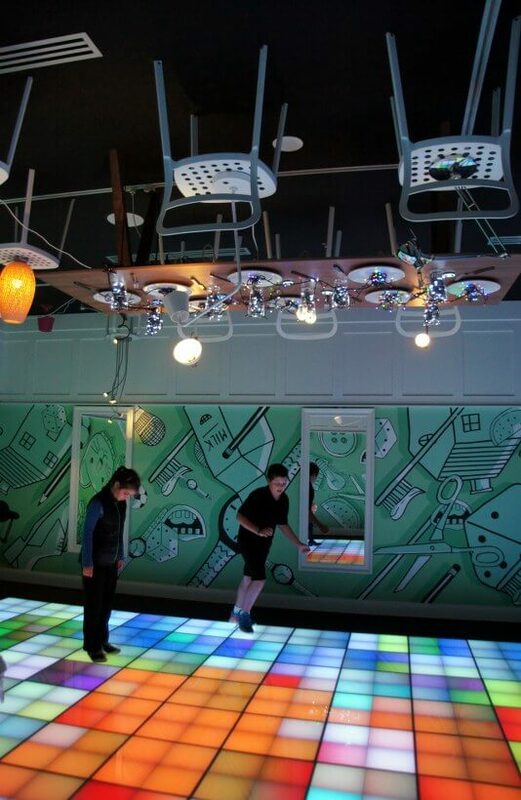 Look up and you’ll see a complete dining room setting, which means you’re dancing on the ceiling! 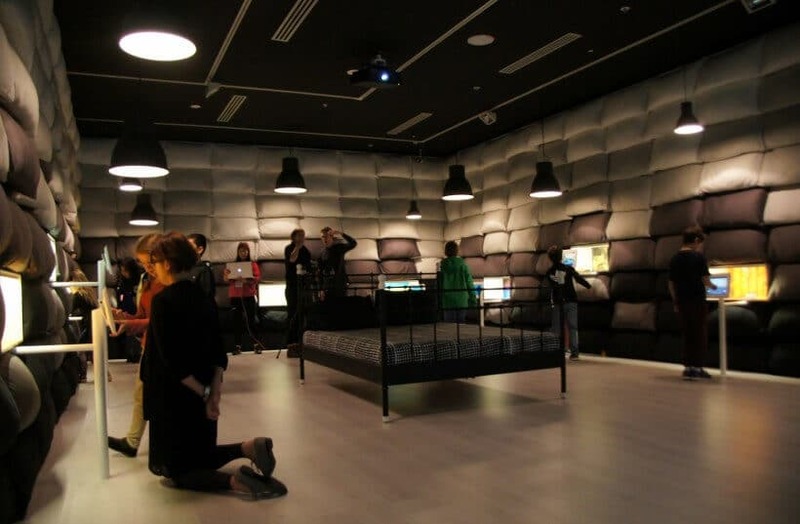 Like Darren Sylvester’s dance floor for the Melbourne Now exhibition this room will definitely be a drawcard. 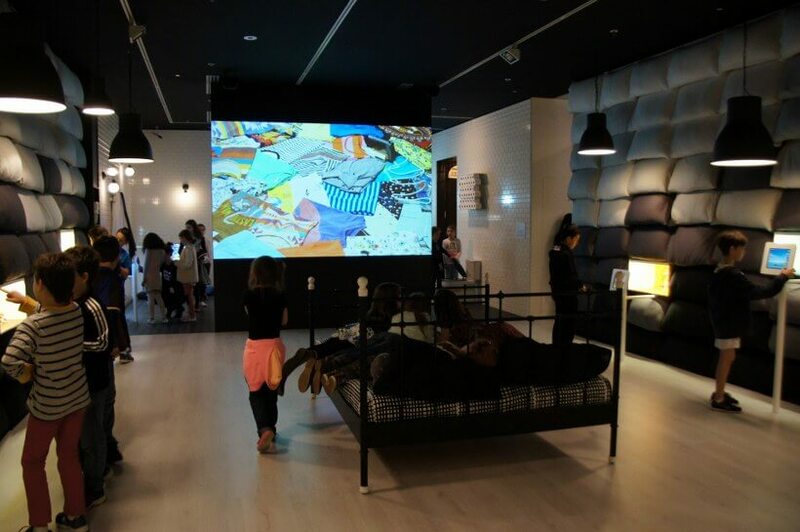 Open House: Tromarama for Kids is a must-see on your next to visit the gallery and it will be sure to delight and surprise kids and adults alike. Come out and play!